You have all winter to hide under a warm bulky sweater. With holiday parties fast approaching, it’s time to bare all. Don’t worry, you can fake a sun kissed glow without ever stepping foot into the sun. Exfoliate, exfoliate, exfoliate! 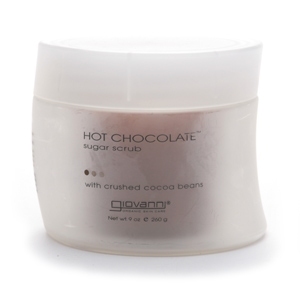 Giovanni’s Hot Chocolate Sugar Scrub uses soft crushed cocoa beans and sugar beads to slough off dead skin cells, leaving skin luminous and soft. Forget messy greasy body oils– H2O+ Hydrating Body Gloss is a fast absorbing dry oil spray that instantly hydrates skin imparting a natural and healthy sheen. Highlight your best assets with Scott Barnes’ Platinum Body Bling. This shimmering moisturizing lotion lasts all day and night to keep your skin supple and soft.